Multi Pockets. Meet A Variety Of Needs. Size(Length X Thickness X Height): About 10.5″ X 4″ X 12.5″. Perfect For Ages 2 Years And Above Kids Girls And Boys. 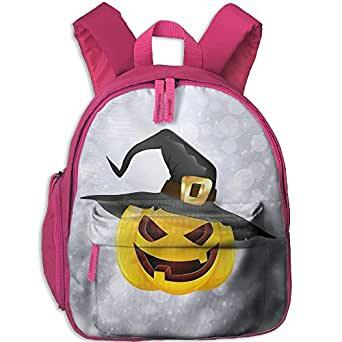 It Is Cute And Lovely Backpack For Your Kids. With Adjustable Straps To Fit Your Children. Suitable For Any Occasions, Like A Trip To The Zoo, Playing At The Park Or Any Other Outdoor Activities. Made By Oxford Cloth As Diving Material. It Is Very Soft And Lightweight. The Super Lightweight Makes Your Kids Easy To Carry Around. There Is A Roomy Main Compartment With A Smaller Pocked On The Inside For The Backpack Stores The Kid’s Toys, Snacks And Other Stuffs,and A Small Zippered Pocket On The Outside With An Two Zippered Bottle Pocket. It Is Very Useful In Teaching Kids Young How To Organize Their Items. The Padded Shoulder Straps Are Also Adjustable, Making Them Comfy For Little Shoulders.